Firefighters in the province of Zaragoza have launched a project called Safe Home, a pioneer project in Spain which aims to install smoke and carbon monoxide detectors in the most vulnerable houses around the province. The goal is an early detection of possible fires: as soon as the alarm goes off, everyone have to leave the house to avoid any risk. This is one of the better smoke detector news we have known after the obligatory by law of them in France. 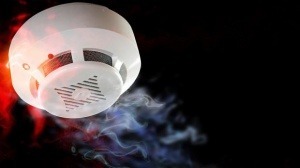 A smoke detector, properly installed and maintained, is the only thing in your home that can alert you and your family when there is a fire, 24 hours a day, seven days a week. Whether you are awake or asleep, a working smoke detector is constantly on alert, scanning the air to discover fire and smoke. We want to congratulate the province of Zaragoza for this initiative. We hope it serves as an example for the rest of the provinces and autonomous regions.